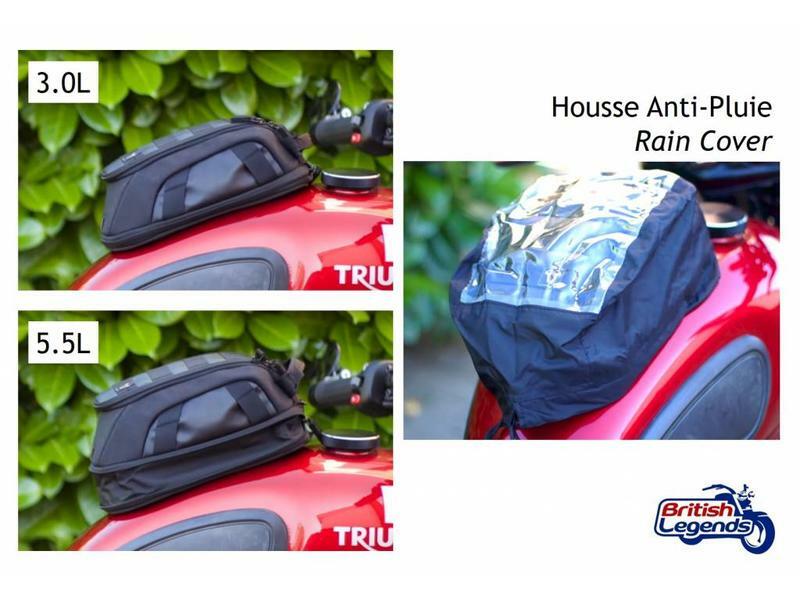 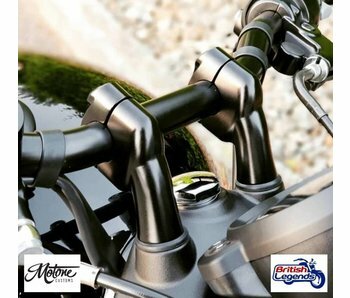 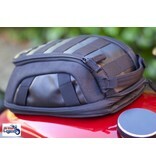 Suitable for all motorcycles with a steel fuel tank. 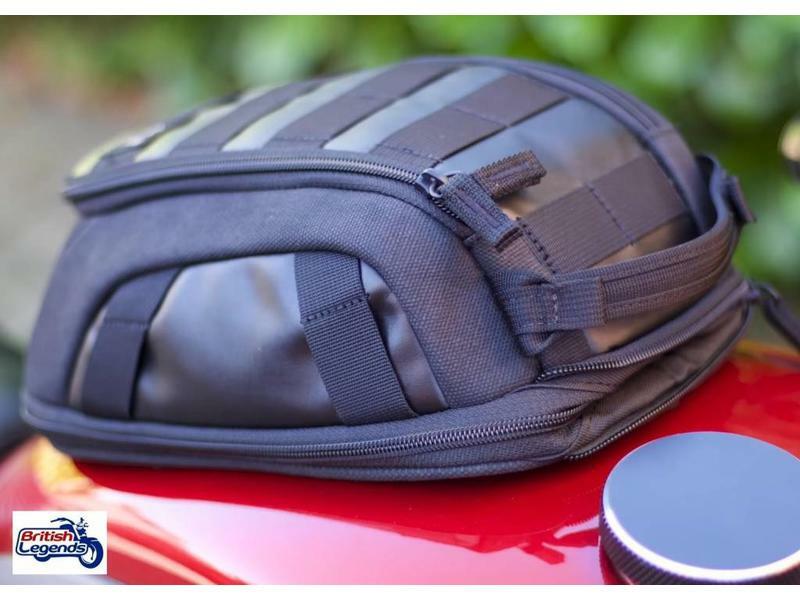 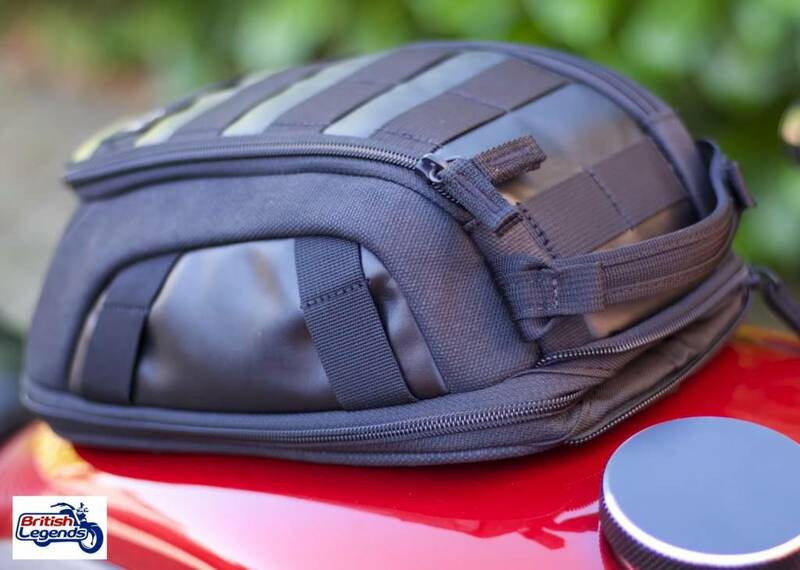 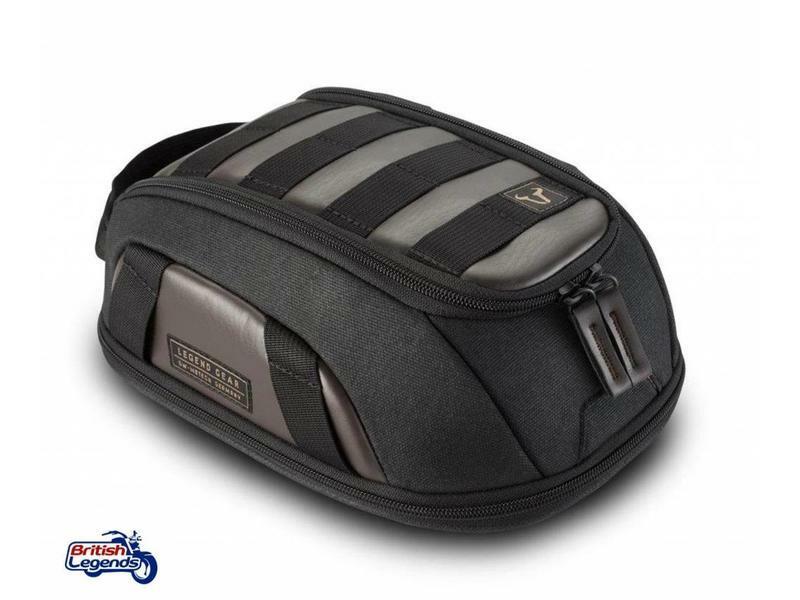 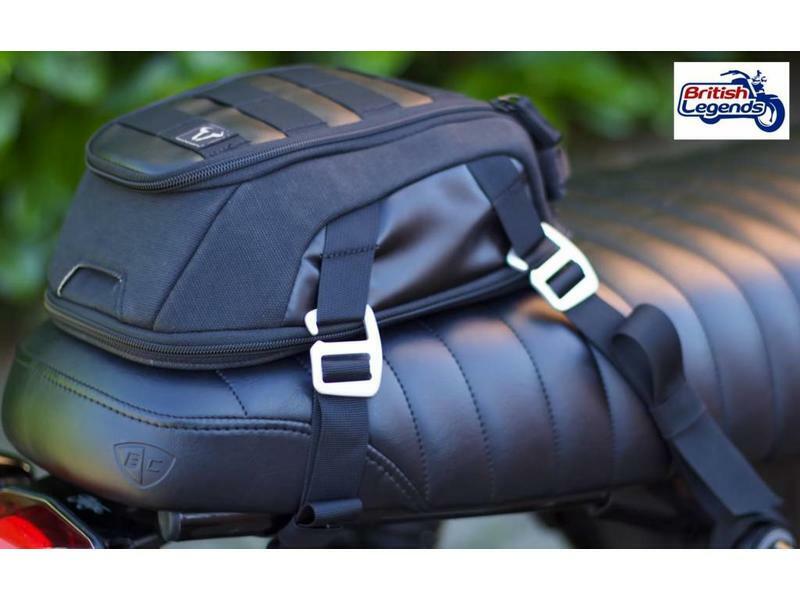 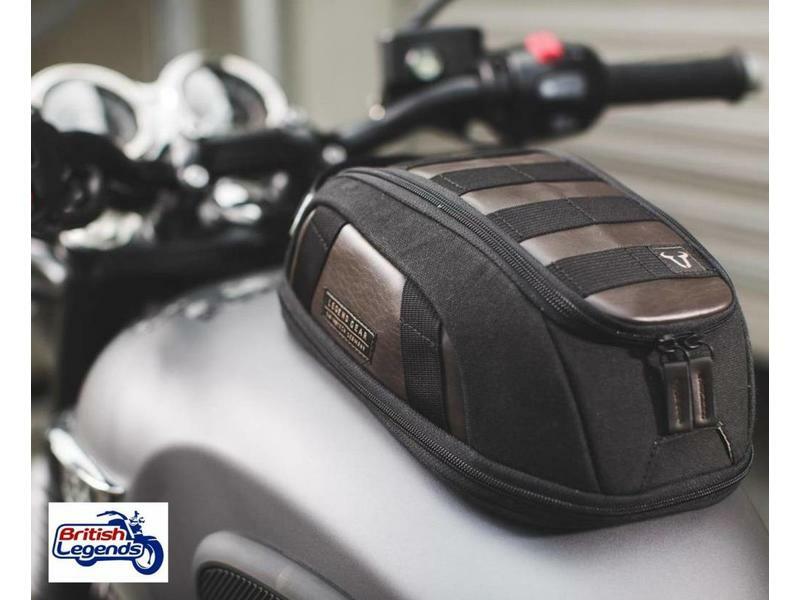 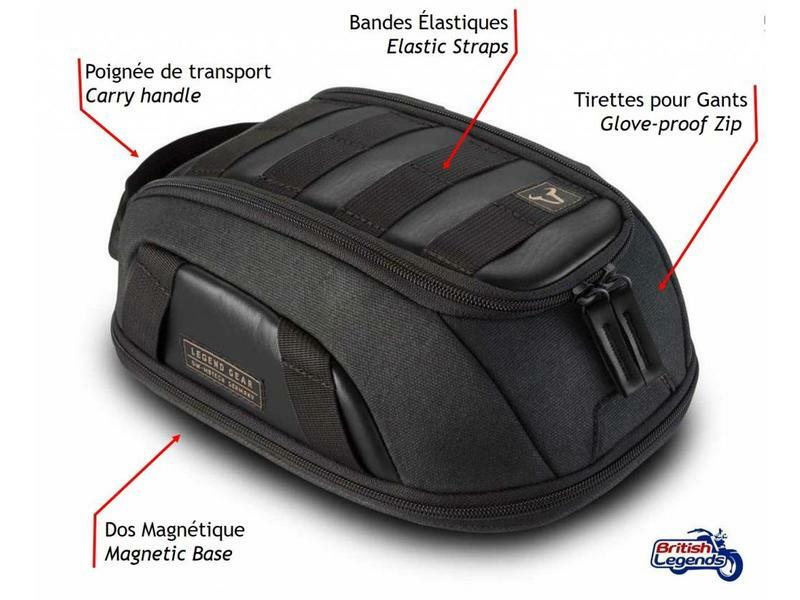 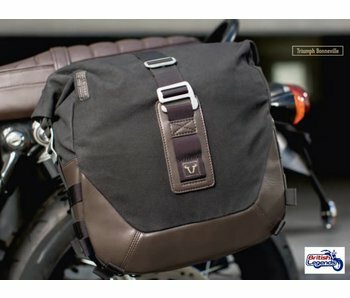 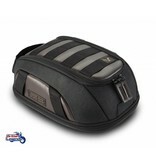 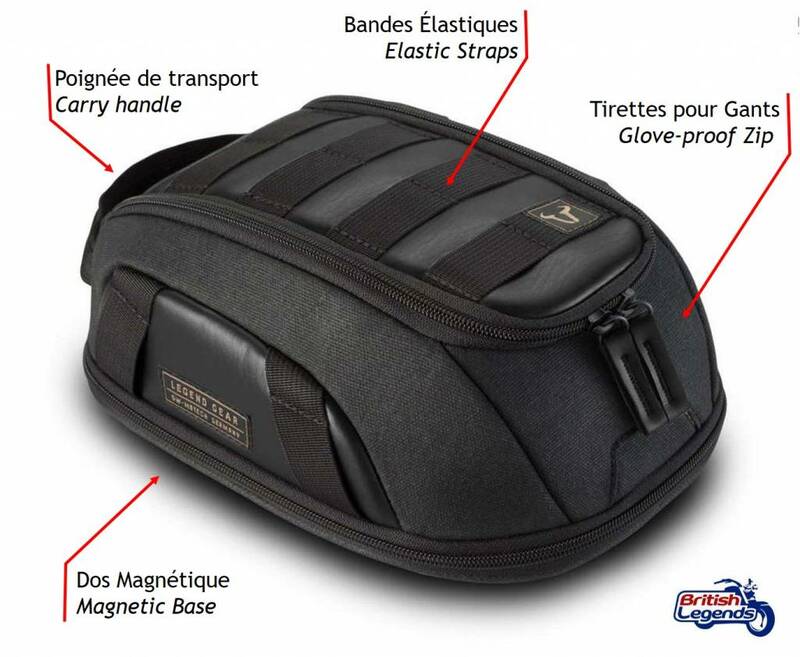 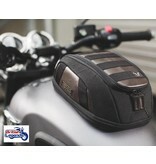 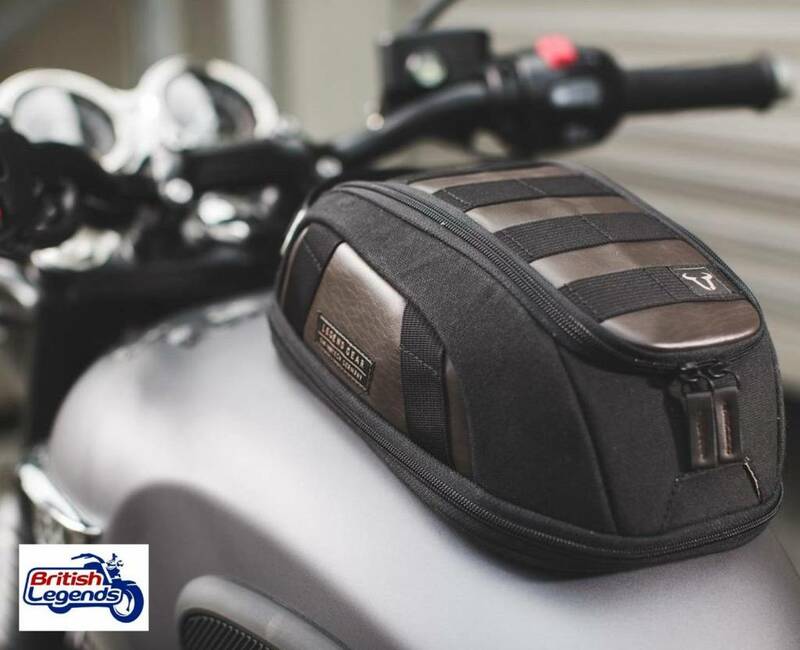 Tank bag with vintage look, which fits to the tank with powerful magnets ensuring stability in all circumstances. 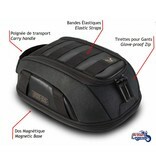 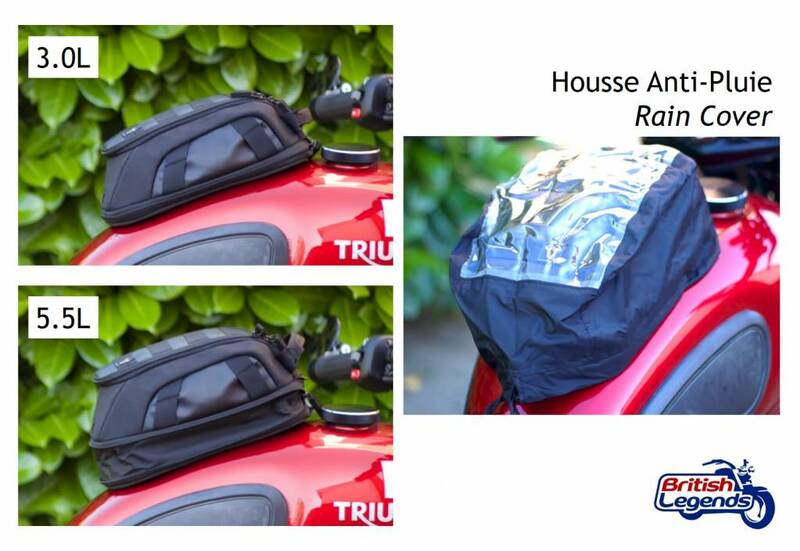 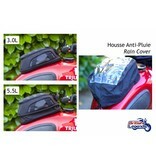 It is thus possible to install the bag on the tank in a few seconds, and to take it with you on arrival. 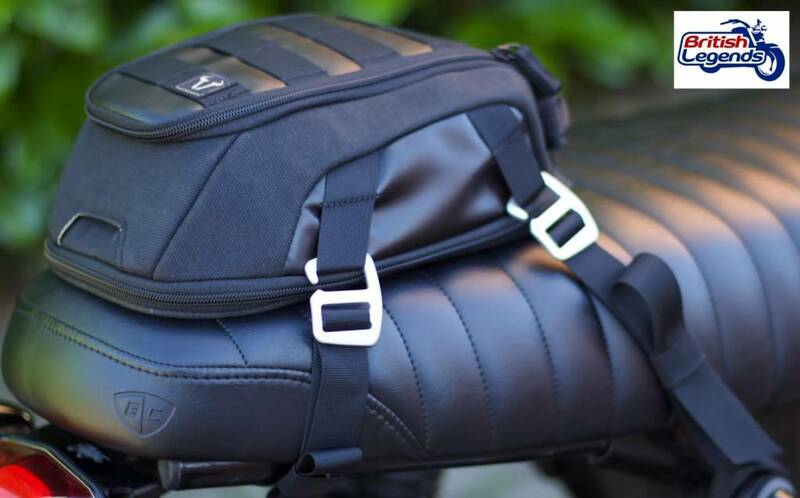 Expandable volume thanks to zip expansion: 3 liters (compressed) or 5.5 liters (extended). 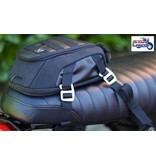 Made from Napalon synthetic leather and canvas, with a polyurethane lining. 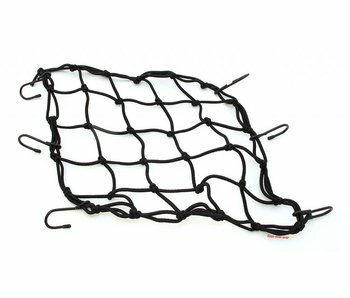 Caution: put your electronic objects in the net of the cover (far from the magnets of fixation).